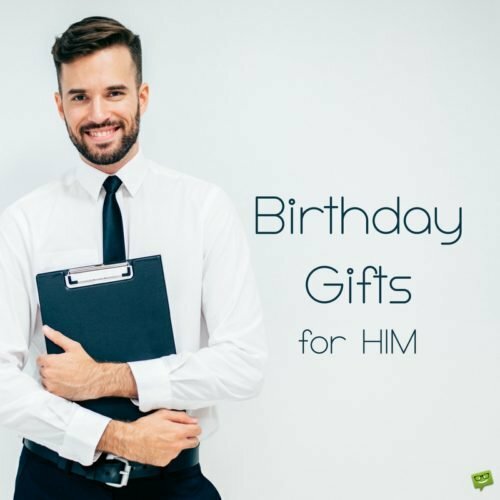 Picking the right birthday gift for a friend, relative or partner can certainly be a challenging task. 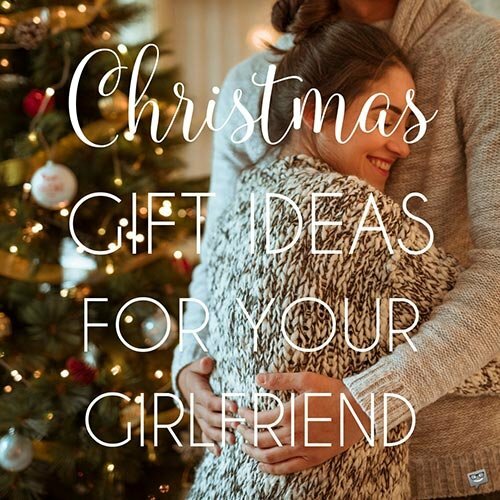 If you want your gift to be special and meaningful to the person who receives it, you should probably stay clear of generic gifts and consider the character, hobbies and interests of the person in question. Do you happen to have a wanderlust-obsessed person in your life? Someone who loves to travel so much, you barely see them? A perfect gift for them would be something that will make their travels more comfortable, enjoyable or memorable. So, in case your favorite traveler’s birthday is coming up, this article is perfect for you. 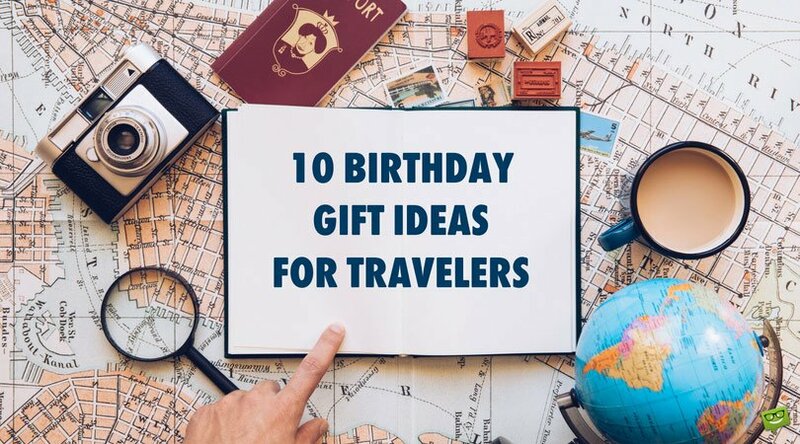 We present to you an array of ideal gifts for you to choose from that will definitely be appreciated by any avid traveler. Few people can resist taking a nap during a flight, especially a long one. Nonetheless, sleeping in a sitting position without proper neck and head support can be uncomfortable, frustrating and even painful. The main drawback of most conventional, horseshoe shaped travel pillows is that they do not stop the head from falling forward, given the fact that they only support the head from the back and sides. 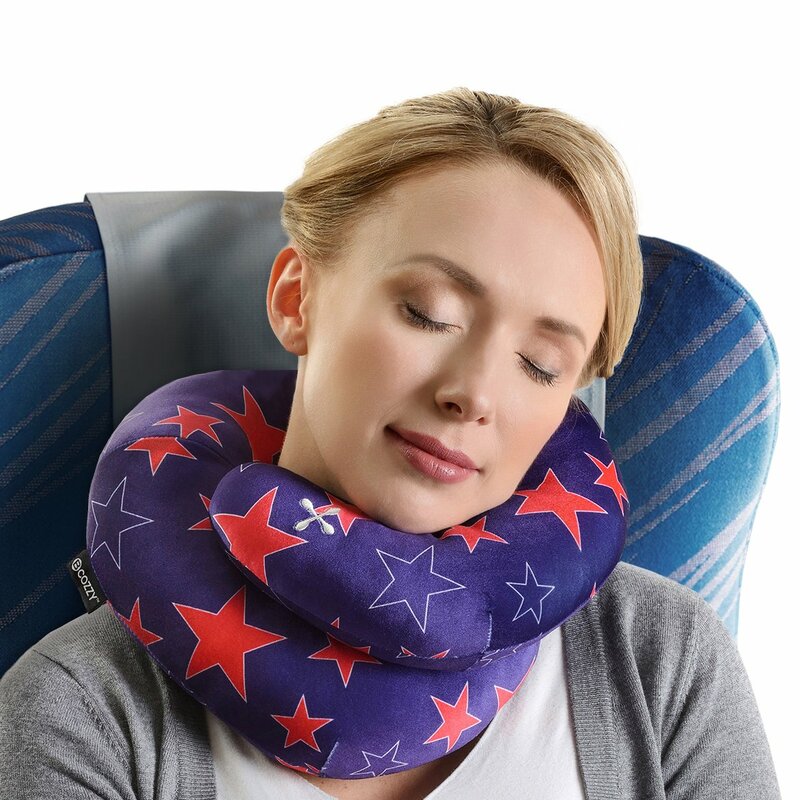 BCozzy travel pillow is unique in providing proper support for your head, neck and also chin, helping to maintain ideal positioning and allowing maximum comfort in every sleeping position. It comes in a variety of colors and fabrics for you to choose from and it is made by soft fleece that feels like velvet against your skin and is fully machine washable. It is ideal for all forms of travel: airplane, car, bus, boat or and train but you will certainly use it at home too, either watching TV, reading a book or just sleeping. Most experienced travelers would tell you that you should never, under any circumstances, board a plane, train, bus or boat without a pair of headphones. If these headphones happen to be noise cancelling, even better! The noise cancelling feature not only isolates ambient noise so that you can enjoy your music, movie or audiobook without hearing the crying baby that statistically will be around; it will also serve your fellow passengers by blocking the sound from whatever you’re listening while they try to take a nap or read a book. 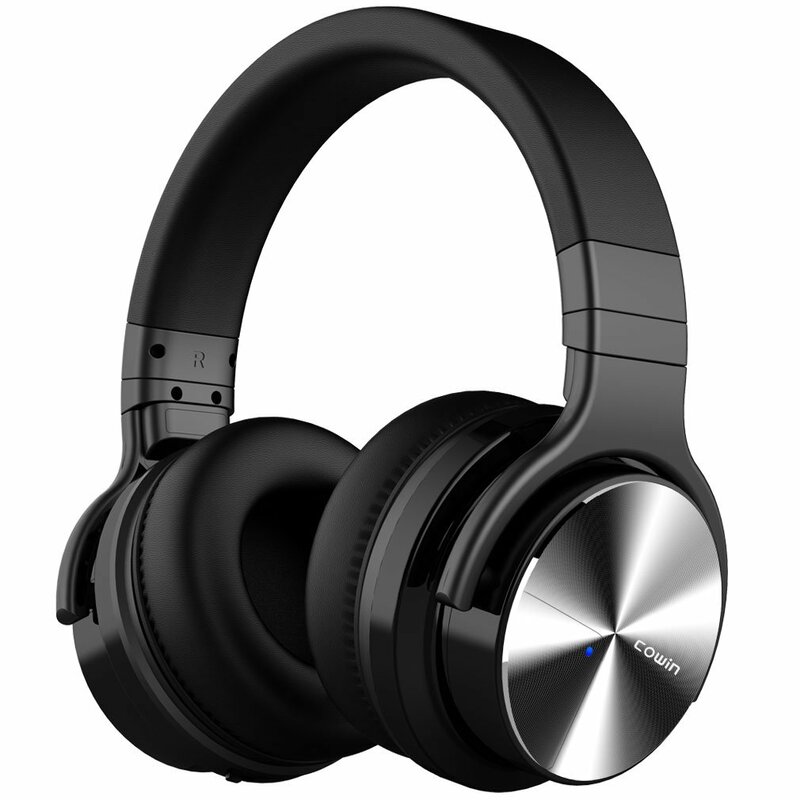 The Cowin E7 Pro Noise Cancelling Headphones offer deep power bass and great sound quality that brings out the best in your music, including subtle details you may have never noticed. The built-in microphone provides high-quality hands-free calls and the built-in 800mAh battery supports an impressive 30 hour playtime per full charge in Bluetooth mode or NC mode. The headphones can be used both in wired and wireless mode and can be connected to your device via wire, Bluetooth or NFC. The headphones are available in three colors: black, red and pink. 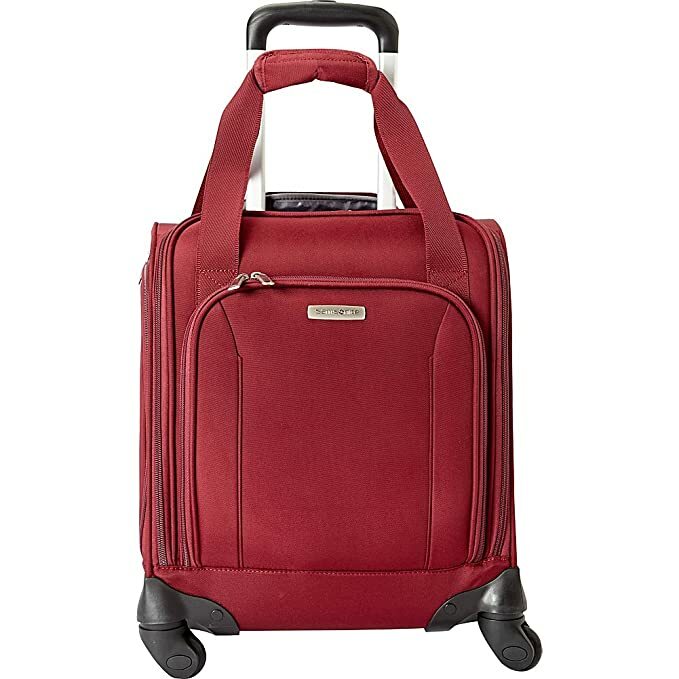 This piece of luggage is great for perfectly organizing all your stuff. It features an easy-access side pocket for travel documents, multiple zippered exterior pockets, a big front pocket organizational panel, laptop and tablet sleeves and a couple of interior pockets. Additionally, it features an integrated charging port for easy access to personal portable chargers. 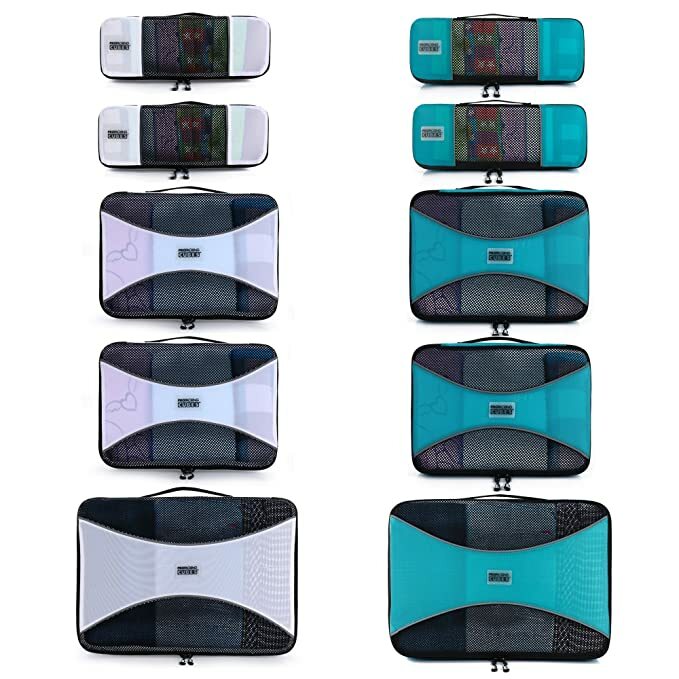 The Samsonite Spinner Underseater with USB Port comes in five colors for you to choose from: Black, Majolica Blue, Pewter, Port Wine and Potent Purple. Life doesn’t wait for us to be fully charged and hanging out by the outlet is no fun. This portable battery pack is the best portable power bank for travelers and commuters. Unlike most battery banks, this little gadget will not only work for your smartphone, but it is powerful enough to charge all your devices anytime, anywhere, including your laptop. In order to ensure compatibility with any device you have and can be charged, this power bank comes with three different kinds of ports: USB Type-C, USB-A, and AC Outlet. Novoo’s portable and convenient size (it is slightly bigger than a soda can) and low wattage make it easy and safe to take with you, even on an airplane. It is also equipped with Power Delivery technology for faster charging, as well as surge protection and short-circuit protection, in order to ensure the safety of you and your devices. 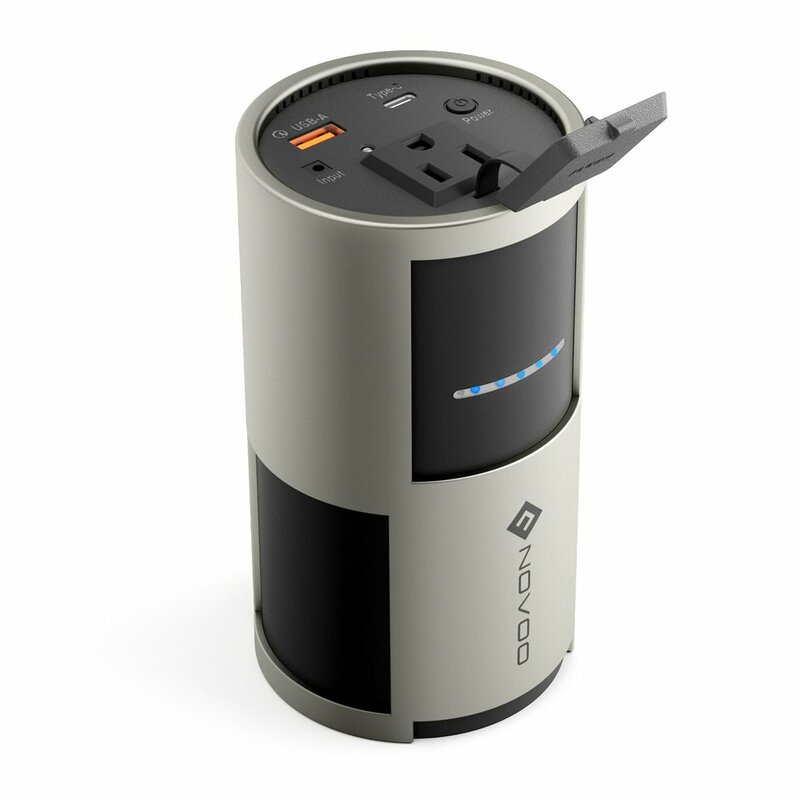 This is the perfect gift for someone who travels often, as it will be the ultimate solution for their charging needs. People who have visited more than a couple of countries will really appreciate this scratch off world map poster. This detailed scratch map is a best-selling, premium quality poster that, unlike most similar products, it is manufactured in Europe. The aesthetically pleasing, clean and minimalistic design is created by an international team of cartographers and designers. It displays clear lettering, lively colors and official flags of all 196 recognized countries. It includes authoritative maps of Canada, USA, Mexico, Brazil, Argentina, Russia, China, India, Australia, UK and other countries, meaning that all provinces and states are outlined. By scratching off countries, states and regions that you have visited, the carefully selected bright colors and travel destinations underneath are uncovered. 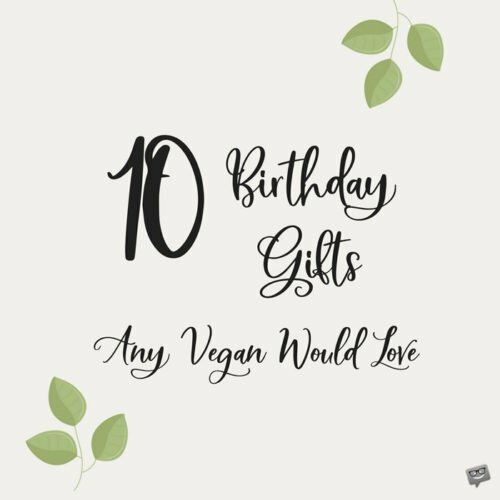 This gift is perfect for wanderlusters, globetrotters, digital nomads, road-trip lovers, traveling families, wandering students and free-spirited retirees. This poster is so much more than an object you will put on the wall. It is about feeling grateful for all your travels and the life experiences you have already had, but it is also about encouraging your curiosity and hunger to explore new places and cultures. It’s about travel goals, because travel is the best education and the only thing that makes us richer. When one is on the go, it is not hard for them to misplace their things. Especially when checking a bag with an airline, one cannot help but wonder: What if they lose my bag? This little tracking device is here to dissipate those fears. Tile Slim is as thin as two credit cards, making it easy to slide it in your wallet, purse or pocket. It can also be attached to a tablet, notebook, laptop or lunchbox. Additionally, you can stick Tile Slim to the Luggage Tag frame using the included adhesive, then attach the Luggage Tag to the straps and handles of purses, suitcases, etc. 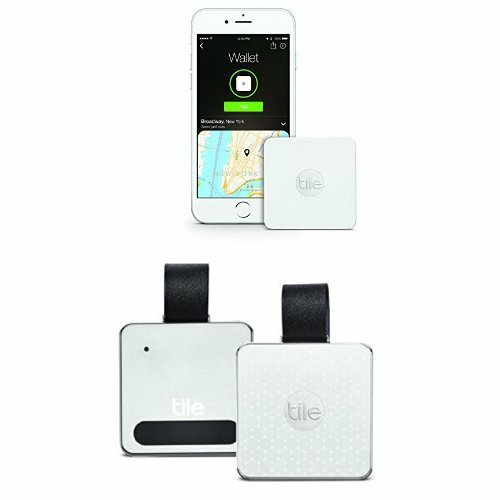 All you need to do is download the Tile app, activate your device, and pair it with your smartphone via Bluetooth. In case you misplaced an item that has a Tile, you can make it ring when it’s nearby but out of sight by using your smartphone. The Tile app is free and easy to use; it also remembers the last time and place it saw your Tile, so if you left it somewhere, you’ll always know where to look. Additionally, if your bag gets too far away from you, you will get a push alert as soon your phone can’t find your luggage. In case your Tile isn’t where you left it, you can anonymously enlist the help of the Tile community in your search. Even an inexperienced traveler will agree that one of the toughest things one has to do while packing for a trip is fitting everything you want to bring with you into your luggage. This real issue can be solved by neatly packing all your clothes tightly into these space saving bags. This great packing cube system allows you to easily store and organize your clothing, making it easy to pack and even easier to unpack. Your clothes will stay more wrinkled free and not get crushed during your travels. Unlike other similar products, these cubes are built to last and they are backed by the manufacturer’s 100% Lifetime Guarantee. They are designed to fit perfectly into most luggage: airline carry-on suitcases, tote, weekender, backpacks and duffel bags. This is a great way to keep your suitcase organized and go through security controls faster. Pro Packing Cube sets are available in three color schemes: Aqua and White, Graphite and Sky Blue and Mixed Colors. People who travel abroad need to be aware of the fact that different countries use different types of electrical outlet plugs, voltage and frequency. If you travel outside your home country, this plug adapter will make your life much easier. The Universal 8 Pin AC Socket works in 150+ Countries and allows for the use of many different plug designs, making this adapter plug the ultimate Swiss Army Knife of travel adapters. Keep in mind that this is not a voltage converter but rather a plug adapter. Most electrical devices nowadays can switch between 110 and 220 volts, so you only need an adapter to make the plug fit. Just remember that you can’t use an iron or a blow dryer with this adapter, since it’s not rated for that high a wattage. Other than that, everything else works just fine. Just plug your extension cord or USB charger into it and you are all set. 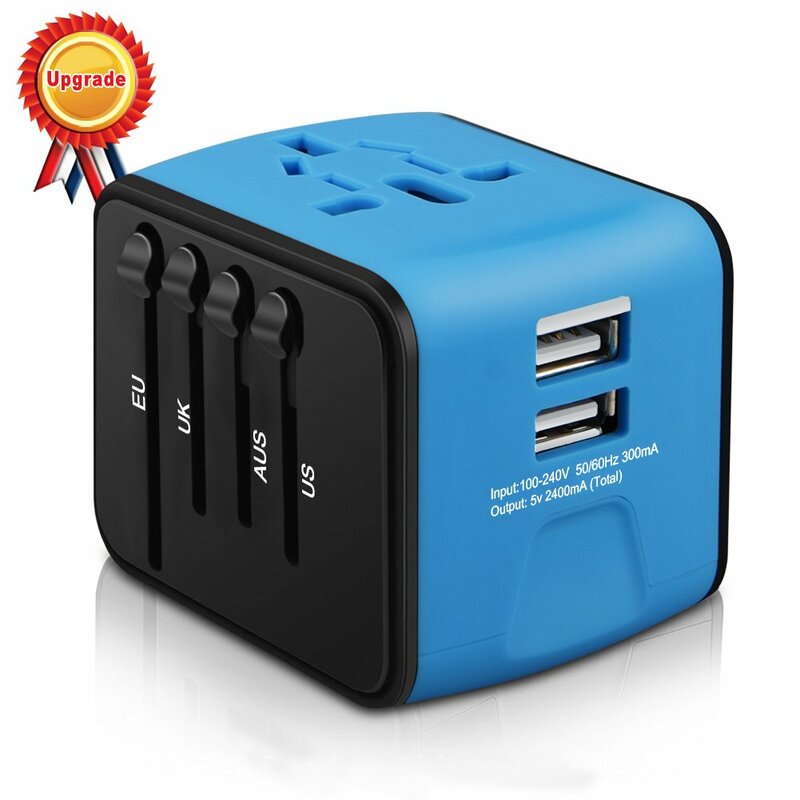 Iron-M Universal Travel Adapter comes in three colors; blue, green and black. When travelling, it is crucial to keep all of your important documents in one spot, have your boarding pass and passport readily available for security screening, but also keep your stuff safe. 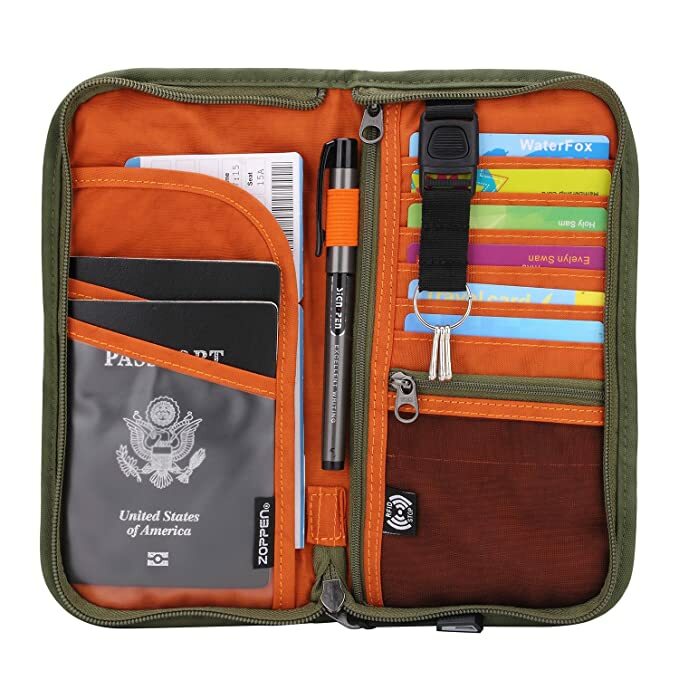 Zoppen RFID Travel Wallet & Documents Organizer has slots for your credit cards, as well as a place for your boarding pass, passport to sit safely. The RFID blocker prevents skimming tools from stealing your passport information. Zoppen Travel Wallet has plenty of space for storing your travel essentials and keep your stuff organized. There are two pouches for passports, a pocket for the boarding pass, two zipper bags, six card slots, a pen holder, a mesh bag, a removable keychain and a removable wristlet strap for convenience. This wallet comes in a large variety of colors for you to choose your favorite: Black, Royal Blue, Army Green, Poppy Red, Orange, Animal Pattern, Camel, Purple, Mint Green and Gold. Anywhere Travel Guide is, in as the name suggests, a creative travel guide that you can use anywhere, even in your own hometown and it will challenge you to get to know and explore your travel destination in a completely different way. 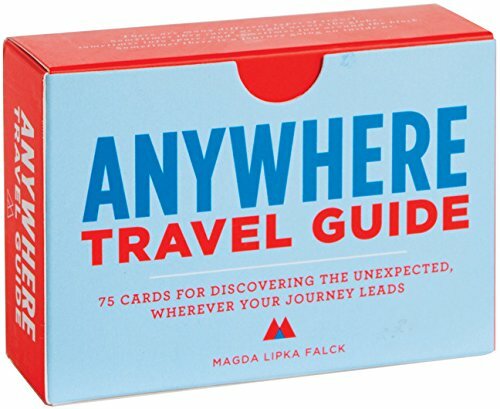 This handy deck of 75 cards offers fun, offbeat and exciting suggestions that aspire to inspire exploration. It embraces the ‘how’ of traveling rather than the ‘where’, allowing users to discover new places and rediscover familiar places. This game will help you connect with locals and other travelers, take you to unexpected places or give you a totally new perspective on your surroundings. The 75 cards feature unique, quirky, funny, unexpected and original assignments, such as “Eat a dessert for breakfast, three appetizers for lunch, and a breakfast for dinner.” or “Ask the next person you meet where his/her favorite street is. Go there.” Each card becomes an invitation to new experiences that are sure to open your eyes and widen your world! Turn your getaway into a game and explore a city differently with the Anywhere Travel Guide. And remember: “It’s not about the destination, it’s about the journey”.